Agistment is the term used in the alpaca industry to describe a livery service for alpacas who are guest visitors at a farm. Agistment can be short-term, for just a few weeks, or a permanent arrangement. 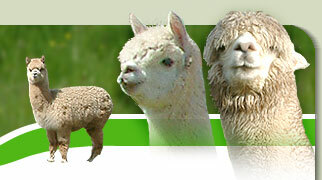 Agistment enables people without land to own and enjoy alpacas. Our strict bio-security protocols mean that we will only accept alpacas for agistment supplied by us, that have not left our farm. Amazing Alpacas are pleased to offer agistment services for alpacas purchased from us, where owners prefer them to reside here. We will look after them at our farm and your animals will receive the same high level of care that we give to our own stock. Why might Agistment appeal to you? Starting up a breeding enterprise can be expensive. Agistment gives a new owner the opportunity to purchase a single animal to start with. As alpacas need the company of others, this would not normally be possible. A client can build a breeding herd gradually, as funds allow, before moving them onto their own land when the herd has become established. No land? No problem. 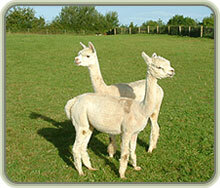 Agistment means that you can get involved with alpaca ownership without the need to find a suitable acreage. Through agistment, you can own one or even a complete herd of alpacas for pleasure or business, even if you live ‘in town’. If you are in full-time employment, regular observation of your alpacas and, in particular, your pregnant females may not be possible. This may cause difficulties as they approach their due date. 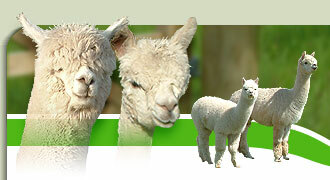 By keeping your alpacas with us that problem is easily overcome. Some clients may wish to start their herd and take delivery before they have their land available or while they prepare the farm for their arrival. Agistment makes this possible. 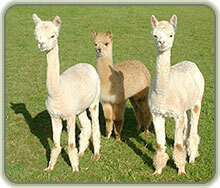 Agistment can enable clients to learn alpaca husbandry from scratch, a little at a time. We can show you how to take care of your alpacas at your own pace. While most investment opportunities are, at best rather dull, owning alpacas in agistment offers a fun and alternative way to try and grow your money. Returns and yields are difficult to estimate - after all you're investing in living creatures - so it's wise to consider this as speculative, but hey, you can't take it with you! We charge agistment at £10 plus vat per week, per animal and that includes feed and routine husbandry. Your additional costs would be insurance on your stock, essential veterinary bills or special services that you require i.e. halter training. 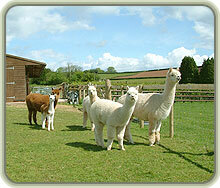 Alpacas staying with us do so at their owners risk and we recommend that you take out insurance cover. When you consider the cost of purchasing a few acres of land, agistment offers a cost effective alternative - and you won't need to buy a tractor! Fancy an all inclusive package for breeding groups? We'd be happy to discuss the cost of a breeding package with you.